Tuesday, the Los Angeles County Registrar-Recorder/County Clerk’s Voting Systems Assessment Project was announced as a finalist in this year’s Roy and Lila Ash Award for Public Engagement in Government by the Ash Center for Democratic Governance and Innovation at the John F. Kennedy School of Government, Harvard University. 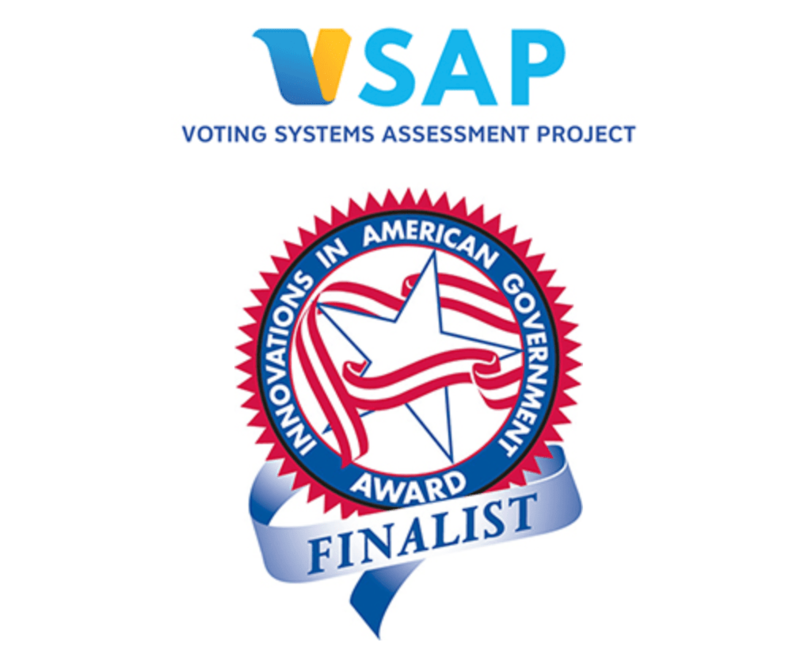 As one of four finalists for the Roy and Lila Ash Award, the Voting Systems Assessment Project (VSAP) will compete for a $100,000 grand prize during presentations to the Innovations in American Government Awards National Selection Committee, chaired by Kathleen Kennedy Townsend, former Lieutenant Governor of Maryland. Registrar-Recorder/County Clerk Dean Logan and VSAP Project Coordinator Monica Flores will make the presentation on May 17 in Cambridge, Massachusetts. Presentations by the finalists will be livestreamed on the Ash Center website at http://ash.harvard.edu. The VSAP is an innovative project launched by Los Angeles County to develop a completely new voting experience for Los Angeles County voters; an experience that focuses on the needs and preferences of the voters themselves – and, that is publicly owned and operated. The proposed new voting experience was designed using a human-centered approach that actually engaged voters in the design process. To date, the County has engaged close to 3,500 voters in the project. The mission of the Registrar-Recorder/County Clerk is to serve Los Angeles County by providing essential records management and election services in a fair, accessible and transparent manner. For more information, visit lavote.net and follow us on Twitter@LACountyRRCC.